Russian regional carrier RusLine has announced its decision to relocate its Moscow base from Domodedovo to Vnukovo starting on March 21. The move was initiated by the board of directors as part of the airline’s long-term network development strategy, which is aimed at boosting point-to-point and transit traffic, as well as an attempt to avoid direct competition from much bigger S7 group. “Since we a not the only airline flying to Domodedovo from most destinations in our route network, the move to Vnukovo will provide out existing and future passengers with a more convenient choice of airport,” CEO Dmitry Mirgorodsky commented. He pointed out that Vnukovo is easily accessible from Moscow and has no entrance queues at the terminals. Another important factor for the airline is that its maintenance base RusLine Technics, which is certified by the Russian, European, and Bermudan authorities, is stationed at Vnukovo. The airline is transferring all of its 11 scheduled domestic flights (to Belgorod, Elista, Ivanovo, Izhevsk, Kirov, Kursk, Lipetsk, Penza, Tambov, Ulyanovsk, and Voronezh) and one international flight (to Leipzig) to Vnukovo. The current decision is in fact a revision of the carrier’s 2010 relocation from Vnukovo to Dmodedovo. From mid-November 2017 to March 23 this year, RusLine also operated flights from Moscow’s third airport, Sheremetyevo, to three new destinations in its network: Kirov, Lipetsk, and Penza. 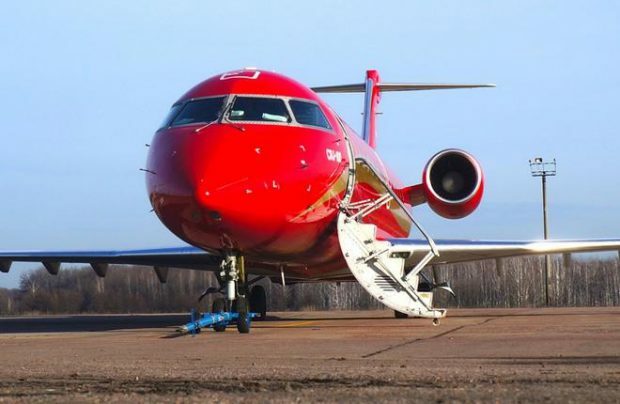 According to Russia’s Federal Air Transport Agency, RusLine currently operates a fleet of 17 Bombardier CRJ100/200 regional jets and a single Bombardier Challenger 850. Last year it served 606,900 passengers, up 4.6% on 2016. In January this year the airline demonstrated a 16% year-on-year traffic growth with 34,100 passengers. The carrier’s business model is focused around building a network of routes connecting Russia’s regional centers and major hubs.